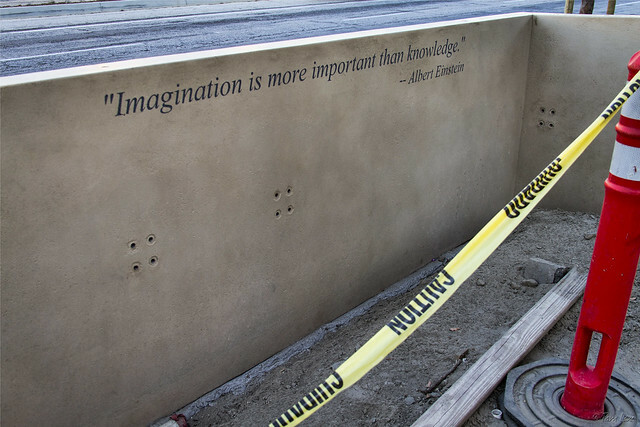 For my last Firestone improvement project post (at least for a few weeks), I'm taking this quote to heart. I don't know what these structures are for. Each has a quote on the inside and a decorative D carved on the street side. So until they're done, I leave them to your imagination.